In the near term, taking fast, ambitious action to reduce SLCPs is vital to reducing the rate of global warming and keeping temperature rise below 1.5 degrees Celsius (2.7 degrees Fahrenheit)—an ambition that all countries signed on to as part of the Paris Agreement and an essential goal for ensuring poor and vulnerable communities are spared from climate catastrophes. Reducing SLCPs also can save lives and deliver multiple benefits for sustainable development and human well-being. 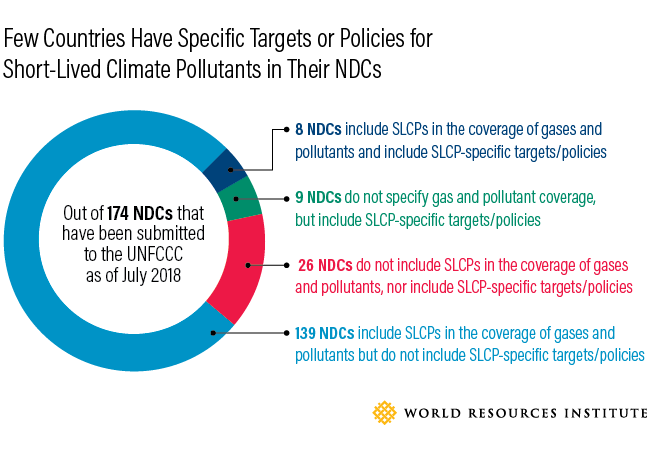 Yet despite their significance, SLCPs are not well represented in countries' national climate plans, known as nationally determined contributions (NDCs). A new WRI/Oxfam working paper published today explains why reducing SLCPs should be a big part of every country's climate and development agendas, and how countries' NDCs can produce effective and equitable actions. Reducing SLCPs is also central to fighting climate change. 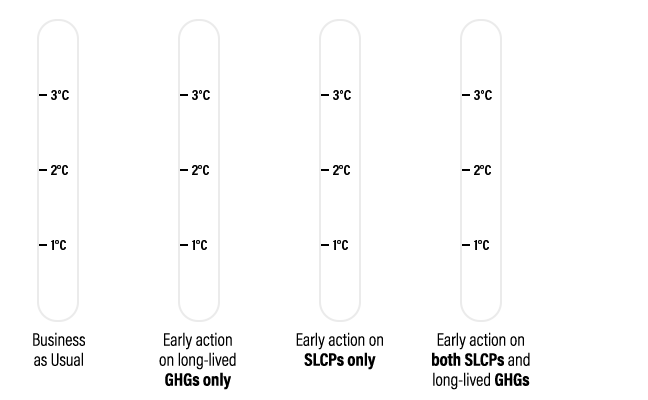 SLCPs have a powerful impact on global temperature and the climate system, particularly over shorter time horizons. Despite being short-lived, they are highly potent and currently produced continuously from many sources. Significant reductions in SLCPs can avoid 0.6 degrees Celsius (1.1 degrees F) of warming by mid-century—an essential down payment on limiting temperature rise to 1.5-2 degrees Celsius (2.7-3.6 degrees Fahrenheit), the level scientists say is necessary for preventing the worst impacts. Indeed, without a focus on SLCPs, we increase the risk of overshooting 1.5 degrees Celsius of warming and triggering potential tipping points – dangerous feedback loops in the climate system that are irreversible, impossible to recover from, and which would likely disproportionately affect the world's poorest and most vulnerable communities. 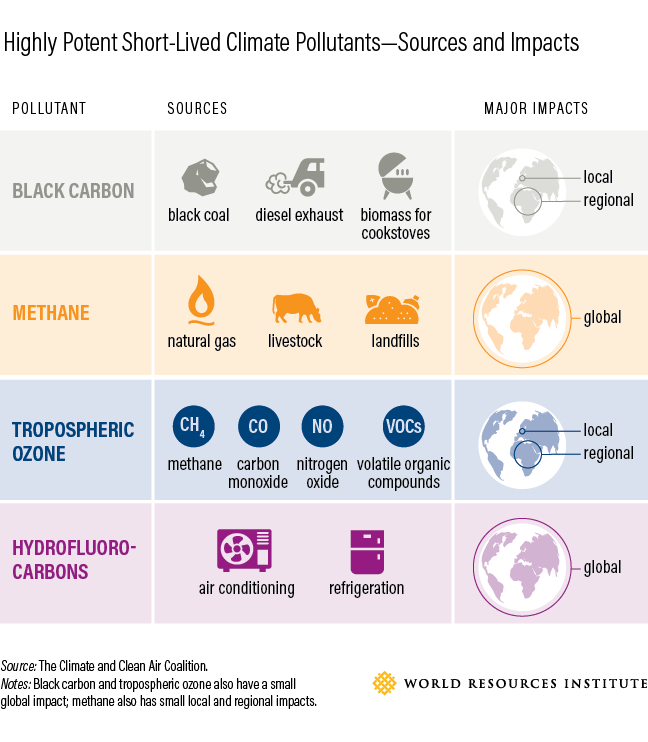 How would taking early action on short-lived climate pollutants (SLCPs) and long-lived greenhouse gases (GHGs) affect global temperature increase in this century? Sources: Shindell et al. (2017); Shindell (2018); CCAC (2017). Carni Klirs and Beth Elliott also contributed to this blog post.